Youve probably heard of the Social Bookmarking sites like Digg, StumbleUpon and Delicious. These are web based services that allow people to bookmark their favorite sites, so that they can return to them again in the future. Since the bookmarks are held online, these services also allow people to share their bookmarks with others - and even provide valuable backlinks to the bookmarked sites. 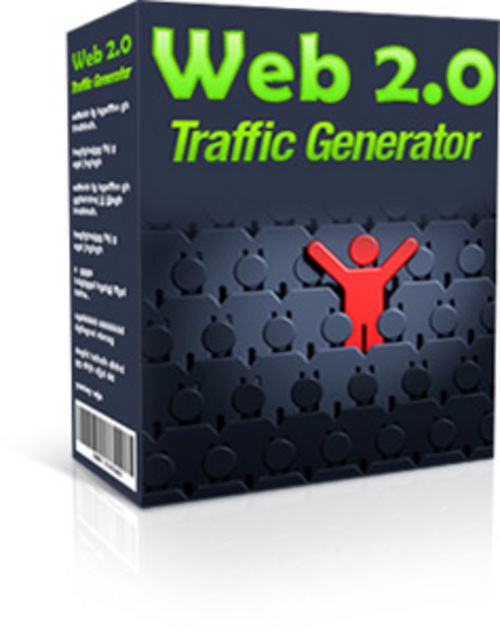 Now with Web 2.0 Traffic Generator, you can harness the power of these services to help boost your website traffic. The software allows you to create a special page on your website aimed at members of the top social bookmark services. On this page, you offer two special gifts that are exclusively available to members of the top social bookmarking services. You can offer suitable ebooks, articles, software or anything else you own.
"""""""""""""""""""""""""""""""""""""" VISIT MY PRODUCTS """""""""""""""""""""""""""""
Cash Jukebox - With Full Plr + 2 Mystery Bonuses!